There are some general reasons why we reach for a snack throughout the day. Snacks can ease the hunger that sneaks up between meals. They also make leisure time activities more pleasurable. Many people reach for a snack when they’re stressed out about something or simply because they are bored. Since snacks are a part of most lifestyles, from a health standpoint it’s best to choose snacks that are not only tasty but also healthy. Chocolate covered dried fruit is a fantastic example of a snack that is outstanding in flavor and one that also has health benefits worthy of giving it a place of prominence on your list of snack foods. Dried cherries, raisins and dried cranberries are tasty little treats on their own. However, their deliciousness is taken to a higher level when they’re covered with smooth, soothing milk chocolate or rich, decadent dark chocolate. When you make chocolate covered dried fruit bulk buys, this amazing snack can become a fancy, flavorful addition to a party table or be given as an impressive gift for almost any occasion. 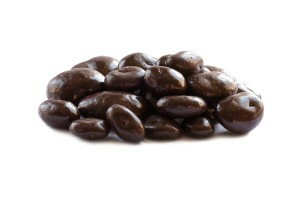 The many health benefits of chocolate make chocolate covered dried fruit a smart snack choice. Chocolate supports cardiovascular health. It can help lower blood pressure and with the maintenance of acceptable cholesterol levels. Chocolate can reduce the risk of stroke and help control insulin sensitivity. The fiber content in chocolate makes it beneficial to a weight loss, weight maintenance plan. It has also been shown to be effective in reducing body mass. Chocolate supports skin and eye health. It also aids in the reduction of inflammation. Some of the most outstanding benefits of chocolate are its ability to boost brain health, improve concentration, ease depression and anxiety and protect against age-related cognitive decline. When you examine the positive effects of chocolate, you’ll have a better understanding of why it’s such a popular go-to snack. Studies indicate that cocoa has a short term effect on lowering blood pressure. They also indicate that cocoa flavanols are beneficial to platelet and vascular function. Claims have been made that give chocolate credit for began aphrodisiac. This is especially true of dark chocolate which contains phenylethylamine. This could be due to the Thebromine found in chocolate. Another effect of chocolate that is connected to its caffeine and theobromine content is that it acts as a stimulant. When you crave chocolate, it may not be that you’re seeking a relief from hunger, but rather that you’re looking for an emotional lift. Chocolate is a mood-lifting food, due in part to it content of typtophan. Because chocolate boosts brain serotonin, doing something as simple as eating a piece of chocolate can make you feel happy. Chocolate is a good source of magnesium. Magnesium is an essential mineral that helps reduce stress by suppressing the release of cortisol. Chocolate is a source of beneficial antioxidants. It’s important to carefully select the type of chocolate you eat so that you will gain the most benefit from your snack. Dark chocolate, specifically that with 70% or higher levels of cocoa, offers a high level of health benefits. A high level of flavonols supports cardiovascular health. Flavonoids can assist in lowering blood pressure, reducing blood clot and in improving blood flow. They can also help with the prevention of cancer. It can also help slow the aging process and reduce the risk of developing type 2 diabetes. The high amount of antioxidants in cocoa protects healthy cells from damage that can lead to a myriad of health concerns. Two antioxidants, catechins and epicatechins, found in cocoa can increase your muscles absorption of nutrients. This has an energizing effect sufficient to help you progress through a workout routine without experiencing fatigue. Chocolate covered dried fruit is a soothing, satisfying snack. The tartness of dried cherries or dried cranberries is balanced out in a palate-pleasing manner when those tiny fruit gems are covered in milk chocolate. You get a double dose of sweetness in chocolate covered raisins. While a lot of attention is given to the benefits dark chocolate provide, milk chocolate covered dry fruit should not be ignored. Milk chocolate has a mellowness that gives it a soothing quality. Milk chocolate dry fruit is a source of carbohydrates, fiber, protein and calcium. It’s a sweet indulgence that you should not deprive yourself of. Dried fruit covered in dark chocolate has a more intense and decadent flavor. It sharpness paired with the tartness of dried cherries and dried cranberries creates excitement for your taste buds. 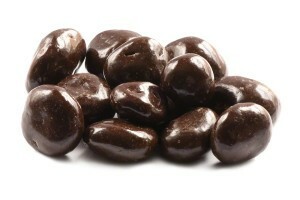 Sweet, chewy raisins assume an entirely new personality when covered in decadent dark chocolate. Raisins, a popular and timeless snack, are transformed into a luscious indulgence when they’re given a luxurious dark chocolate coating. The health benefits of a dried fruit and dark chocolate combination are just one reason for making these treats a regular part of your snack routine. The most obvious reason for stocking your pantry with a variety of dark chocolate covered dried fruit is so that you can enjoy this feel-good, mood-lifting snack anytime. Considering the positive impact chocolate covered dried fruit has on your mood and health, you might want to make friends and family happy by giving them gift tins filled with these mood-lifting treats. Being on a diet that restricts your consumption of sugar requires that you make careful choices when selecting snack foods. Snacks such as sugar-free chocolate covered raisins give you the opportunity to enjoy a delicious snack that is a source of fiber, calcium, protein and iron. While you may have to make choices when you’re on a sugar-restrictive diet, you don’t have to deprive yourself of great tasting treats.